Abbey Beach Resort is south west accommodation at its finest. Located at the gateway to the Margaret River Wine Region, in the historic countryside between Busselton and Dunsborough, it is ideally located to provide convenient access to nearby scenic attractions, wineries and galleries. 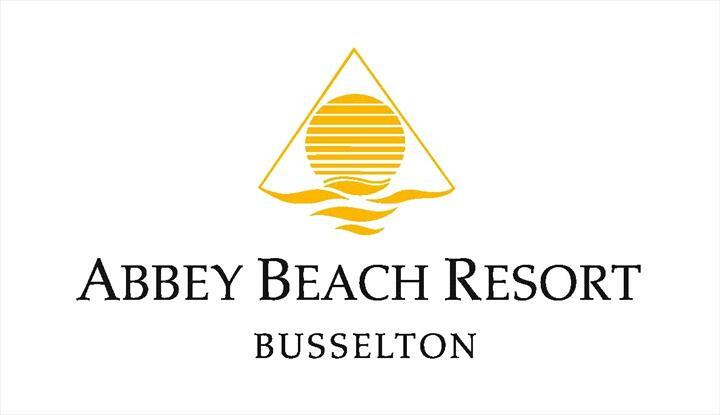 Busselton's luxury beachfront resort is set amongst gardens and lakes, offering 1 to 3 bedroom serviced apartments and studios, each with a private balcony and spa. Guest facilities feature free wifi throughout the resort*, restaurant, cafe, bars, indoor heated and outdoor pools, sauna, gymnasium, tennis and squash courts, children's playground - ideal for families and couples, alike. awesome stay, 2 nights this time. We continue to return because its fantastic! Staff and management do a fantastic job! Keep up the great work! For the price this place is great. Yes sure it is a bit worn and rough around the edges so to speak, however in its price category, it makes for a great place. The food is very tasty and freshly cooked, a little in the pricey side but that can be accepted by the cost of the room. The service is good and has a big indoor heated swimming pool, although that does needed to be hovered to get rid of the sand on the bottom as people hasn't showered before using it. The rooms are a great size with full self catering facilities. Over all, and taking in account the price, I would come back here. The Best Place to stay in the South West. When your away from home Abbey Beach Resort is the best place you can chose asa your second home! Every Hotel / Resort offers nice rooms, pools etc, but Abbey unique as there customer service is second to none from the front desk to the restaurant, to the chefs and the cleaning crew, everyone makes us fee so relaxed. We will continue to return as we have done for a number of years now. It’s one the good resort that has a good entertainment area , nice place for wedding too. It’s got the indoor and outdoor swimming pool , jackusy, steam and dry sauna, squash, restaurant , very romantic cafe . They have really good room service and rooms always are clean and smell fresh, in each room there is a small kitchen that you can cook for yourself in need, the spa and indoor swimming pool is fantastic specially in winter. We have enjoyed our time there when ever we go there. Will highly recommend. So far so good. Only just got here. Haven't yet tried the cafe or bar. Hoping weather will improve so I can try the pool. Travel 7 km west from Busselton town centre, sign posted on the right hand side of Bussell Highway..
72 Hours Cancellation Notice required or payment of 1 night will be charged.